I often find that sympathy cards are really the most difficult for me to create. Probably because whenever I make one it’s because I need it to send to someone. I always appreciate having a few on hand just in case I need one. 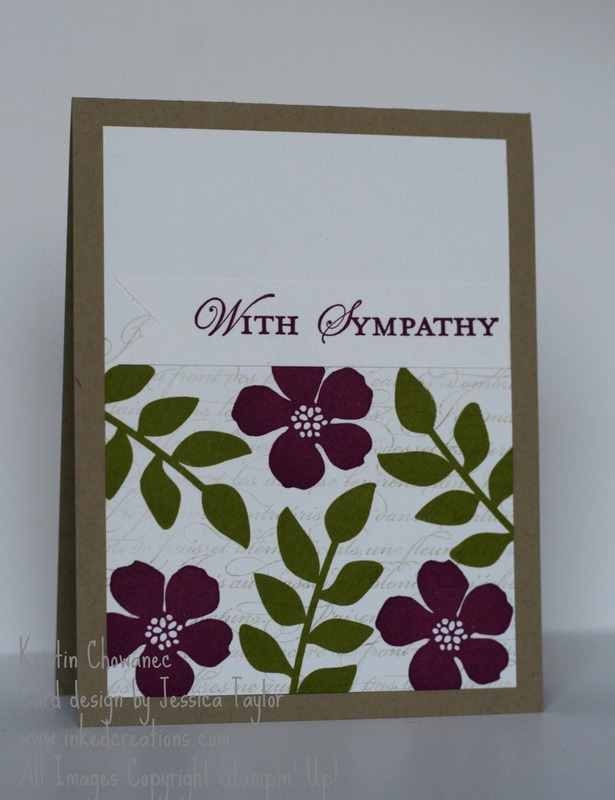 This sympathy card was one of our shoebox swaps last weekend at the WI Stampers Regional. I love the simple beauty of this card! The En Francais Background stamp on this card is ‘stamped off’ once on a scratch piece of paper and then stamped on the card front to create a very soft look. Click on the TAMS link below to learn more about how this card was made.